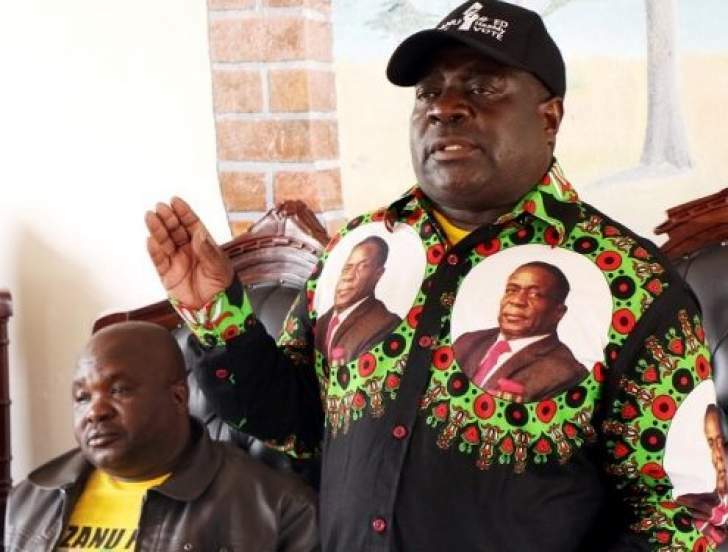 Zanu-PF yesterday announced the official list of candidates who will contest the forthcoming National Assembly elections on the ruling party's ticket. The results reflect a renewal of the party after several party heavyweights lost out to newcomers. However, due to logistical challenges which affected the distribution of voting material to remote constituencies, the party managed to announce results from 190 out of the 210 constituencies. In a statement made at the Zanu-PF Headquarters in Harare last night, the party's national political commissar, Lieutenant-General Engelbert Rugeje (Retired), said results were from at least 90 percent of the constituencies. "We have results of at least 90 percent of total constituencies for the National Assembly. We have 22 females who made it. There are some constituencies where voting is still to be done, while in other areas polling is in progress, and we will notify the nation as soon as we get the results," said Lt-Gen Rugeje. In Mazowe North incumbent MP and Mashonaland Central Governor Advocate Martin Dinha was trounced by Champion Mugweni. Only Shamva North constituency was not announced. Former Cabinet Minister Tabeth Kanengoni Malinga lost to Sydney Chidamba in Mazowe Central. In Maramba Pfungwe Kenneth Mutiwekuziva and Washington Masvaire lost Tichaona Marumazondo. Despite their efforts former Cabinet Ministers David Chapfika and Tendai Siyakurima fell to Hebert Shumbamhini in Mutoko South. Likewise, Michael Madanha lost to Tinoda Machakaire in Wedza South. Herald columnist Dr Sekai Nzenza landed Chikomba East. Lawrence Katsiru, sitting MP for Marondera Central, lost out educationist Cleopas Kundiona, while Industry and Commerce Minister Dr Mike Bimha lost to Chamunorwa Mangwiro in Chikomba West. In Mashonaland East, three provinces, which include Goromonzi West and South and Seke, were not announced. All 13 National Assembly seats in Matabeleland South were taken up. Matabelaland North was affected the most by logistical hiccups as it had five constituencies – Binga North and South, Bubi, Hwange West and Central – whose results were not announced yesterday. Short-lived ZBC former boss Alum Mpofu won Mberengwa South. Pearson Mbalekwa was defeated by Brown Ndlovu in Gweru Chiundura. Senior party officials managed to hold their own, except in some constituencies. Min Chinamasa's son Antony Tendai Chinamasa failed to land Mutasa Central when he lost to Jefta Kuziva Sakupwanya. Finance and Economic Development Minister Patrick Chinamasa however bucked the trend when he won in Makoni Central with Information Communication Technology Minister Supa Mandiwanzira triumphant in Nyanga South. Minister Christopher Mushowe did not make it in Mutare West, as he was defeated by Jennifani Muswere, while in Mutare South Nyasha Chikwinya, Freddy Kanzama and Godfrey Chikosi were all thumped by Jefrey Ngome. In Manicaland province, out of the 25 constituencies, only Chipinge Central was affected, where people did not vote. Similarly, Edson Zvobgo (Jnr) found the going tough in Masvingo Urban which was won by Mazarire Taguma. Incumbent Tongai Muzenda found the going tough in Gutu West and lost to John Paradza. In Bikita South, former Police Senior Assistant Commissioner Edmore Veterai lost to Sithole Josiah. In Chivi Central, Politburo member Munyaradzi Paul Mangwana lost to Ephraim Gwanongodza. However, Zanu-PF Youth League secretary Pupurai Togarepi emerged victorious from a strong field that included Ambassador Jonathan Wutawunashe and ex-Confederation of Zimbabwe Industries president Callisto Jokonya. Voting did not take place in Zvimba North. Senior officials who failed to make it in the province are former Minister of Lands and Resettlement Dr Douglas Mombeshora who lost to Precious Masango and former Governor Faber Chidarikire who was upstaged by Last Sauramba. In Hurungwe North, Reuben Marumahoko failed to make it as he was defeated by Ability Gandawa. In Masvingo, only Gutu North was outstanding from the 25 National Assembly seats. There were heavy casualties as some Politburo members and senior party officials were trounced, among them Special Advisor to the President Ambassador Christopher Mutsvangwa, who was upstaged by Langton Mutendereki in Norton, Mashonaland West. In the same province, the party is still awaiting results from Mhondoro Mubaira and Chegutu East, while voting was underway in Makonde.